Looking for a USED WF67Y-700T/9000? 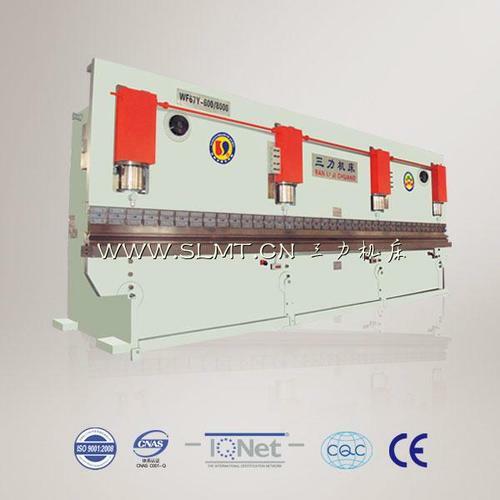 •Large-scale hydraulic press brake has two hydraulic cylinders with electro hydraulic servo valve.Deflection can be compensated by hydraulic vaulted back-off system.Backgauge mechanism can control several backgauge axes. •Its frame is welded with steel plate and is treated with annealing.Hydraulic system adopts integrated control system. It can also be equipped with mould fixture according to customer’s requirement. Looking to Purchase a New SANLI WF67Y-700T/9000?